I remember the day I graduated college thinking, “Wow, I finally made it through school! I’m DONE learning!” Ironically, I’ve probably never sounded so ignorant than that day I graduated college. Thankfully, I can say that I’ve definitely continued to learn MANY new things since that day almost six years ago! As a former music teacher, I can’t help but look for the life lessons I’m learning each day, week, month and year. Whether it be in my personal life, “adulting” or in my business, I can tell you that learning will never stop. It truly is a lifelong journey. But before I get into what flowers have taught me, I want to tell you a little more about my life BEFORE I discovered flowers. At the ripe old age of ten, I found myself with a violin in my school’s orchestra program. Now, the main reason I chose the violin was because I already knew how to read music in treble clef (basically, treble clef is like the language dialect for the violin in terms of reading music). I thought, “Hey, maybe this whole violin thing will be easy to learn since I’ve already kind of taken a shortcut with this whole reading music thing? 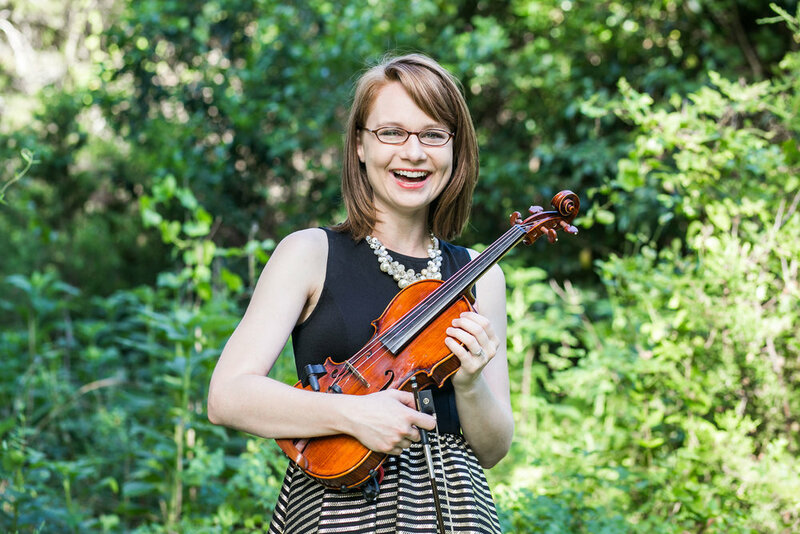 !” AKA: I was a lazy ten-year-old who thought she could take the easy way out in learning one of the most difficult instruments. Well, that “shortcut” didn’t last too long… Through thousands of practice hours, hundreds of private lessons, and several years of teaching students of my own, I quickly figured out that “shortcuts” didn’t exist. Fast forward to the spring of 2017. After seventeen years of playing, recording and teaching music, I knew I was ready to continue learning and explore other career paths. I had always appreciated flowers but had never thought I would ever become a florist- or an entrepreneur, for that matter! But while I was still teaching music, I decided to take some floral design classes and business courses as well. Not long into those courses, I fell in love with floral design and everything it was about! Then several months later, I had my answer. I was going to start my own business and design with flowers for a living. With that being said, this leads me to tell you the number one thing that flowers have taught me throughout this entrepreneurial adventure. In one word, flowers have taught me P A T I E N C E. This is totally one of those “easier said than done” words. From learning how flowers are grown, to practicing the design techniques, principles and elements, to researching social media marketing, to networking with other industry professionals, to writing blog posts, etc. There is no easy way out or shortcut when you own a business! Patience has become my word for the year and I am reminded often to revisit it’s meaning. Especially, when things seem as if they are not moving fast enough in my business or I begin to compare my journey with others or I catch myself wishing I could book this or that type of client, event, etc. One day last week when I was making a floral delivery, I was forced to take a detour because I was not able to move over into the far right turn lane. In the moment, I was frustrated and annoyed that someone else wouldn’t let ME over so I could turn onto the correct street. However, after making the delivery and getting back on the road, I quickly realized that the “detour” was for a very obvious reason. Sirens ringing from ambulances and firetrucks, people being loaded onto stretchers and children being held by shocked parents was the scene on the very road I was supposed to turn onto just a few minutes earlier. I couldn’t help but wonder what could have been if I hadn’t been forced to take that detour. So many times I have complained or become impatient when a curveball is thrown at me as it pertains to my business or even just in my life. A business takes time and lessons need to be learned as it grows and matures. Sometimes, “curveballs” and “detours” are actually a great thing and we don’t even realize it! All this to say, patience is necessary in so many aspects of our lives. Will you join me today in the quest for patience?